A small seismic swarm occurred at the volcano today. A cluster of small earthquakes of magnitudes around 1 were detected on 6 Nov under the southern flank. Unfortunately, INETER has not reported on this activity so far. 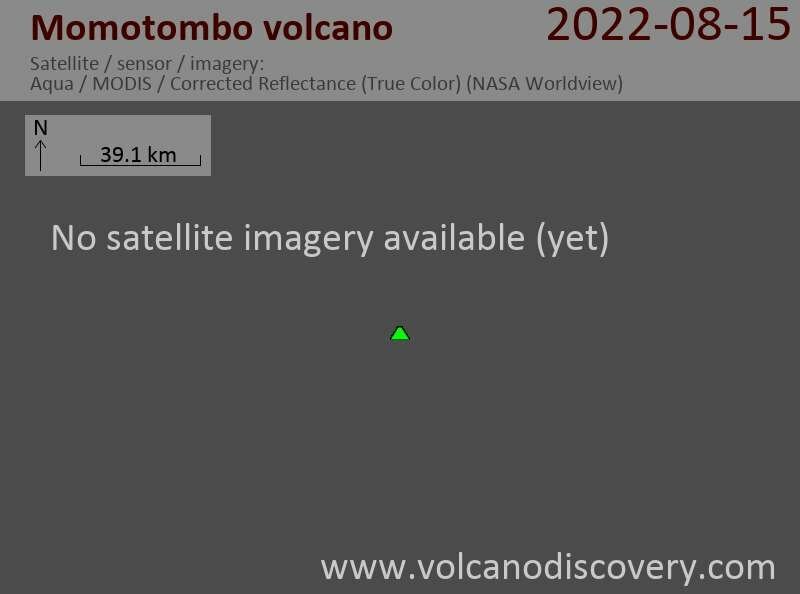 There is no official statement available so far, although this might well be a precursor for a possible eruption in the near future. A swarm of quakes including a shallow magnitude 3.8 felt earthquake occurred yesterday morning (16:38 GMT) at 3.5 km depth under the NW flank of the volcano. There are no reports of other unusual activity at the volcano. Seismic activity has decreased again during the past days with fewer earthquakes. Shallow, possibly volcanic earthquakes continue to occur frequently in two areas near Momotombo volcano: the first cluster is located under the SE slope under the the shoreline of Lago de Nicaragua, the second at about 2-3 km depth 10 km to the NW near the older volcanic El Hoyo. volcanic complex. On the other hand, Momotombo volcano is one of Nicaragua's most frequently active, with 10 recorded historic eruptions between 1524 and 1905, so new activity would not be a big surprise. Some seismic unrest has been going on at the volcano. Local and volcanic earthquakes as well as what seem to be long-period events (corresponding to fluid movements) have been increased recently.